With more than ten years’ industry experience and excellent customer feedback, you can put your trust in AAAClean to provide you with the highest standard of domestic and commercial carpet cleaning Westwell. We can clean all types of carpets – wool, nylon, polyester, olefin, etc. – no matter how soiled and stained they are. Our cleaning operatives use hot water extraction (HWE) machines for fantastic carpet cleaning Westwell results and quick drying times. We are No.1 for Westwell carpet cleaning because our qualified skilled cleaners use commercial grade HWE machines and high quality cleaning solutions. 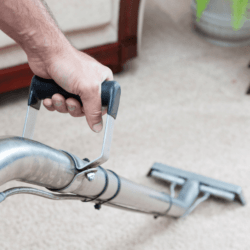 There are other ways to clean carpets, but other methods such as bonnet cleaning and foam encapsulation do not give the same results as HWE cleaning. Our cleaning operatives will clean your carpets in an efficient manner and they will be fully rejuvenated and restored to their original look. We have satisfied customers’ throughout Kent and East Sussex because our cleaning operatives are punctual, polite and friendly and they follow the same carpet cleaning regime on every job they do. Carpets are correctly prepared before the deep cleaning process begins – if this isn’t done the final results will not be good enough. Our Westwell carpet cleaners will do everything they can to make your carpet cleaning experience a pleasure from start to finish. Call AAAClean today – 0800 023 5205 – to book an appointment for domestic and commercial carpet cleaning Westwell. Our customer care team is waiting to discuss your cleaning requirements and book you in. If you only want domestic cleaning services you can book online and pay now or later. Our cleaning operatives are skilled at cleaning all types of carpets, rugs, upholstery and curtains and they are ready to surpass your expectations.